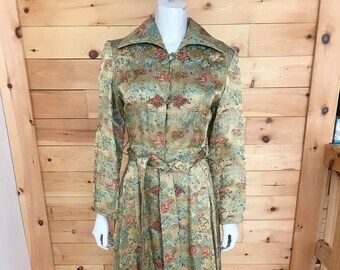 Beautiful coat in great condition! Thank you for the help and the accurate measurement! It really fits beautifully! Just as described! Stunning trousers! Absolutely glorious!! I have seldom been this happy with a purchase. At J-Bird Vintage we offer affordable, high quality and unique vintage/retro clothing and accessories for everyone. Each piece is hand-picked by Jayne for style and condition. We are constantly updating inventory with classic vintage pieces, featuring a wide variety of eras and styles; from the early 1900's to current designs. We carry items from distressed denim and collectible concert t-shirts to high-end designer handbags and clothing. You will find reasonable and fair prices while having a great time picking out just the right outfit or item to suit your needs. My name is Jayne Gulliver and J-Bird Vintage is a long awaited dream come true for me. I started exploring vintage and thrift shops early on in my youth and have carried this passion with me into adulthood.